NEA to build high-capacity power transmission line in Kathmandu - Integration Through Media ....! Ramesh Lamsal, KATHMANDU: The Nepal Electricity Authority (NEA) is going to build high capacity transmission lines to ensure regular and smooth electricity supply to Kathmandu Valley. Such transmission line with capacity of 220 KV double circuit has been named ‘Ring Transmission Line’ and would cover the three districts in the Valley-Kathmandu, Lalitpur and Bhaktapur. Currently, the State-owned power utility is supplying electricity to the Valley via 132/66 and 66/11 power lines. The transmission line would be constructed in outer ring road as well. The 75 kilometers long transmission line to be built outside the Ring Road is expected to cost USD 150 million. The construction of substations and high-voltage transmission lines have been initiated to address increasing demand for electricity within the Kathmandu Valley in the coming one or two years, said NEA’s Executive Director Kulman Ghising. Substations with 220-132 and 132-11 KV will be set up each in all three districts of the Valley. The plan to construct the transmission line outside the Ring Road was devised following difficulties in land acquisition within the Valley for the project, said Ghising. The Thankot-Chapagun-Bhaktapur 132 KV transmission line construction project has remained in limbo for about 20 years. The construction of the transmission line has been stalled as the compensation for the land that has to be acquired for the project with the Chapagaun locals is yet to be agreed upon. This transmission line is considered important in improving the electricity supply in the Kathmandu Valley. Construction of Kathmandu and Bhaktapur section of the Thankot-Chapagun-Bhaktapur transmission line has been completed. 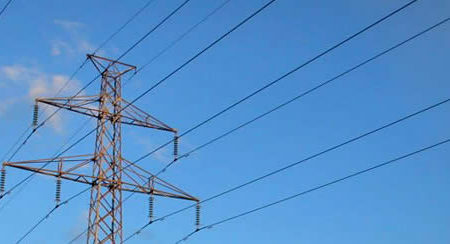 However, around 15 kilometres stretch of the transmission line in Chapagaon of Lalitpur remains due to the dispute over the amount of compensation to be given to the Chapagaun locals.